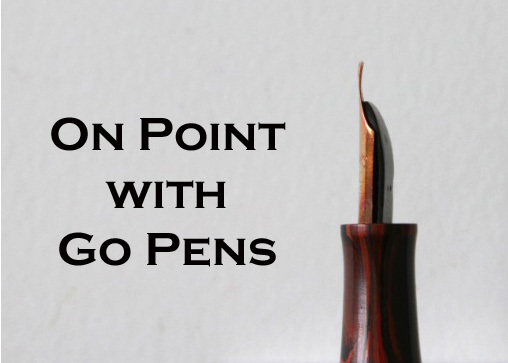 What does restoring a fountain pen mean? I have some vintage fountain pens that someone told me need restoration. Assuming your fountain pens are not broken, restoration will get them back into working order. Without having then in-hand we can’t tell you exactly what’s wrong with them, but chances are it’s one of a few things: no ink flow because of dried ink in the mechanism, ossified sac that needs replacing, or mechanism repair. Having your pen restored (barring major repairs to the body of the pen) will involve cleaning the pen thoroughly to remove any old ink residue that may be blocking the channels in the feed, replacing the sac and repairing the mechanism. There are a variety of filling mechanisms – an eyedropper will need no mechanism repair, but a lever-filler might need a new pressure bar, for example. If your pens are broken somehow, don’t lose hope. Spare parts can still be found for many vintage pens, and a lot of repairs can be made to save a variety of pens.